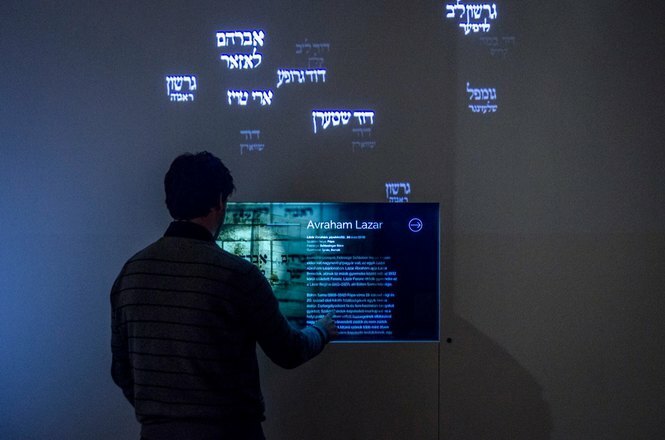 Interactive installation for the Museum of Ethnography, Budapest. Digital layer added to a 200-year-old book exhibited in a transparent multitouch display. The alms collection book was first used in 1829. The little pockets on the pages display the names of community members in Hebrew. The pockets contained promissory notes indicating the amounts of money individual members had offered. Such notes were used because alms were given on the Sabbath, when the handling of money was forbidden. The restored book is placed behind a transparent multitouch display. The viewers open the book by touching the screen. Pages can be turned, which makes it possible to examine the whole book before the restoration. 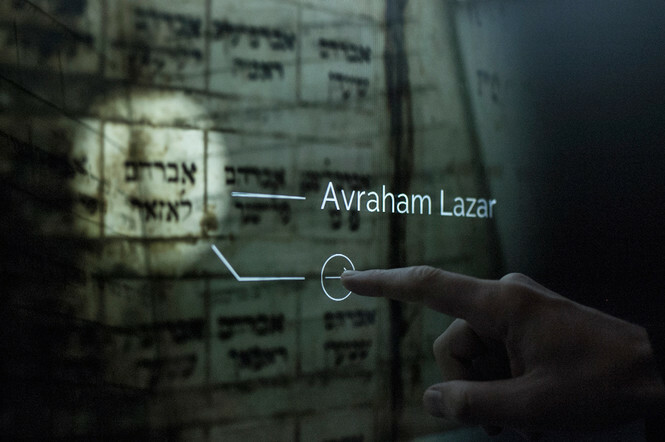 When a pocket is selected, the name written on it soars above the showcase to the projection. Based on multiple lines of research, information is displayed about the person or people who are most probably connected to the pocket name. The histories of these families can also be seen, along with their photos, on the display and on the projection.